Computer Numerical Control (CNC) machines are advanced computer-controlled cutting machines used for cutting various hard materials. They perform pre-programmed commands which enable large volumes of material to be cut to a standard size in a short period of time. The early history of CNC machining is almost as complex as modern CNC machinery. In this article, we will take you through the brief history of CNC machinery. The earliest CNC technology was developed shortly after World War II as a reliable and more repeatable way to manufacture more complex and accurate parts for the aviation industry. Developed by John Parsons, this early technology produced templates from data on punch cards that could be used to create identical parts accurately and efficiently. Parson’s early success lead to numerous Air Force research projects at the Massachusetts Institute of Technology (MIT) starting in 1949. They resulted in the development of an experimental milling machine that was extensively modified to incorporate three variable-speed hydraulic transmissions that were connected through lead screws. Through the gearing and lead screws, each transmission could produce a 0.0005” motion of the table, head or cross-slide for each electrical pulse it received from the director. By 1953, enough tests had been conducted and data collected to indicate the practical possibilities of CNC technology. However, a different and less accurate experimental NC machine was also developed at MIT and became the true prototype for the future of CNC machines. 1960- First controller with transistor technology introduced. 1960- Direct Numerical Control (DNC) eliminated paper tape punch programmes and allowed programmers to send files directly from computer to machine tool controller. 1963- A true Computer Aided Design (CAD) software, namely sketchpad, evolved. 1965- CAD drafting and the sculptured surfaces developed. 1967- Use of integrated circuits (ICs) in NC reduced 90 percent components and 80 percent wiring connections. 1968- First machining centre by Kearney and Trecker (machine tool builders) marketed. 1970s- CNC machine tool developed. The 70s brought around major change through the increased power of computers and the introduction of lower-cost minicomputers. This made CAD software more accessible to a wide array of businesses and consumers. And, a whole host of CAD oriented companies, many of whom are still in existence today, arose to meet the growing demand. 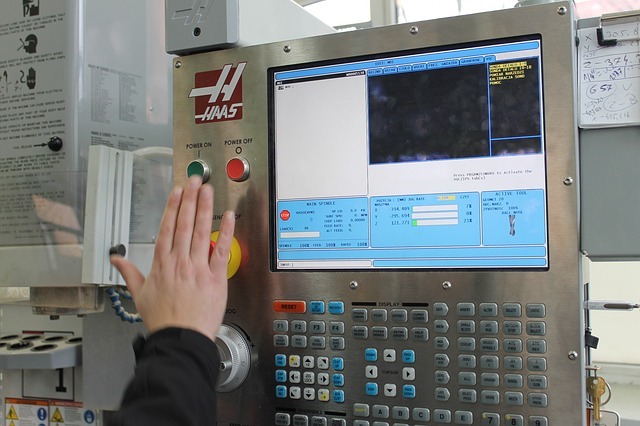 Over the next couple of decades, computing technology helped advance CNC machinery into the type of machinery you can expect to find today. 1976- 3D CAM/CAD systems were introduced (History of Computer Aided Manufacturing). 1980s- Graphics based computer application developed. 1989- Expert CAM/CAD systems were developed (History of Computer Aided Manufacturing). 1997- PC window based Open Modular Architecture Control (OMAC) systems introduced to replace “firmware” controllers. Modern CNC machinery is much faster and more efficient than CNC machinery of the past. They now offer automation features and complex management functions that allow CNC machines to be used for a large variety of purposes, including carpentry shop machines such as the panel saw, the spindle moulder, and the boring machine. This article was supplied by Calderbrook – suppliers of both new and second hand woodwork machinery to the woodworking industry for over 20 years.